Established in 1851, the Western Savings Bank was the second institution of its kind in the city of Buffalo, after the Buffalo Savings Bank, which opened in 1846. 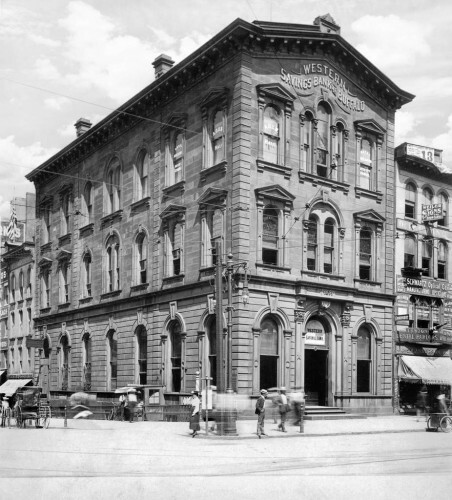 The Western Savings Bank quickly outgrew its original home on Seneca Street, and a new headquarters was constructed in 1872 for $70,000. The grand new building at Main and Court streets stood for nearly 100 years.